Meet the Team that's making healthcare work for those with chronic conditions. 1.9 million people and counting. Lark Health is a Silicon Valley startup that is bringing the best in design, A.I, health coaching, and mobile technology to chronic disease management as a platform. Lark's team is an interdisciplinary group of technologists and clinicians from UnitedHealth, Kaiser Permanente, Google, Yahoo, Stanford, Harvard, and MIT who are passionate about expanding our AI to lower chronic disease costs and improve outcomes at scale. A serial entrepreneur, Julia's been named 30 Under 30 by Inc. and #1 in Top 10 Women in Tech by Forbes. Prior to founding Lark Technologies, she ran global startup incubator Clean Tech Open, her own green buildings startup, and was an EIR at Stanford's StartX incubator. She is on the board of the Council for Diabetes Prevention and a Singularity University faculty member. She received her Master's and Bachelor's degrees at Stanford University and half of an MBA from the MIT Sloan. Her goal is to change the world by helping people feel good about themselves. Julia loves to stay fit with hip hop. As the technical cofounder, Jeff is continuing to discover how to apply technology to bring humanity and connection to people. Prior to Lark Technologies, Jeff co-founded and sold a social networking startup in Japan, architected the backend tools to improve Kiva’s microfinance platform, and PM'ed Yahoo's homepage. Jeff has a BS from UCSB and MBA from the MIT Sloan. When possible, Jeff spends at least one whole day each weekend meditating. As Vice President of Growth, Cameron and his team are responsible for scaling Lark's services to those who need them. Cameron was named "Top 30 Under 30" in Insurance. Prior to Lark, Cameron served as employee #4 and Vice President at MyFinance (acquired by Bankrate NYSE: RATE), and for many years as cofounder of InforcePro (acquired by Covr Technologies). Jacox also serves as Advisor to numerous early and growth-stage startups. Cameron has led a series of teams to rapidly scale early and growth-stage VC-backed companies to commercial success. He has spoken and written widely on Growth & is a contributor for Forbes and Entrepreneur magazines. He received his B.Sc in Management from Babson. When he's not working, Cameron runs marathons and rides a Harley. Chris is a highly accomplished executive with over 25 years of experience commercializing healthcare solutions into provider, payor, employer, pharmaceutical, and government channels. Prior to Lark Technologies, Chris was a founding team member at FastMark and Vice President of Sales at Krames/StayWell. He is passionate about leveraging technology and new healthcare delivery models to make healthcare affordable, accessible and impactful. He received his BA in History at Cal Poly San Luis Obispo. Eric Kho is Lark Health's Head of Client Engagement, where he and his team are responsible for delivering outstanding implementation and early outcomes to health plan and employer clients. Eric is passionate about Lark Health's mission of bringing care and compassion to everyone with or at risk of a chronic disease. Prior to Lark, Eric was Head of Enterprise Customer success at Mintigo, a Sequoia-backed technology company, as well as at FutureAdvisor, a FinTech company. He received his undergraduate degree from UC Berkeley and his MBA from IESE. A seasoned healthcare leader, Kevin has been working to materially improve the healthcare industry for more than a decade. Prior to joining Lark Technologies, he was a healthcare consultant at Booz Allen Hamilton advising payors and providers on ways to improve operations and care delivery design to drive positive member/patient outcomes. He also was leading operations inside large payors and high growth Health IT companies at Blue Shield of California and Castlight Health. He received his MBA from UC Davis. Mitsu has many years of experience as an engineering manager and software architect. He is responsible for technical leadership, software architecture and our development methodology. In the past he has been a startup cofounder, principal architect, senior engineer and CTO for a number of organizations, including a health tech startup he cofounded with Linda Avey (cofounder of 23andMe), the first crowdsourcing platform DonorsChoose.org, and Google. Mitsu has a BA in Physics from Harvard University, and he also curates art shows and goes on meditation retreats for at least one or two weeks a year. Dr. Gabbay served as faculty chair of Pennsylvania’s statewide Chronic Care Model-focused Patient Centered Medical Home (PCMH) initiative (Chronic Care Initiative) involving more than 150 primary care practices with support from 17 payers. 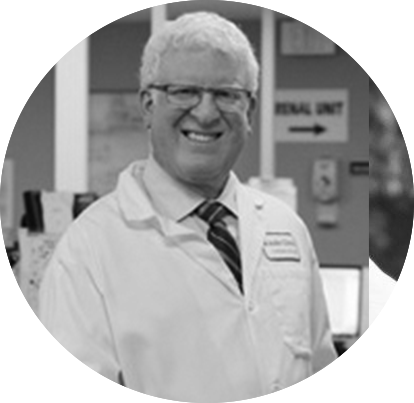 Throughout his career, Dr. Gabbay has been committed to providing the best quality possible to diabetes patients while exceeding the highest national clinical quality measures. 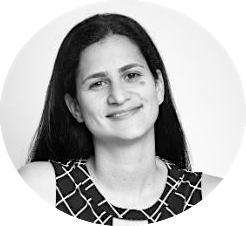 As Lark Health's VP of Data Science, Sharon leads a dynamic team who are focused on applying A.I and ML on over 1 million patients to drive customized interventions and behavior change with CBT. Prior to Lark, Sharon helped lead massive data science initiatives at companies like TripAdvisor and Plaid. Sharon received her B.Sc in Physics from MIT and Ph.D in Astrophysics. Vadim is a customer-focused technologist with a passion for delivering revolutionary technological solutions to real-world problems for users. He is responsible for engineering processes, technical partnerships and security at Lark. For the last 2 decades, Vadim has founded and scaled transformational VC-backed companies in the health care technology, networking, real estate technology, security and educational technology as CTO and VP of Engineering including Rentals.com as co-founder and CTO (acquired by Primedia) and Business Signatures as Principal Technologist (acquired by Entrust). Vadim holds an MS in Computer Science from Stanford University and loves broadway shows and playing ultimate frisbee. Science has proven the superior benefits of “holistic” behavioral coaching- not just treating the disease, but strengthening the mental and physical aspects as well. Meet the world-class group of health and behavior change experts from Harvard, Stanford, the NBA, and more, who are bringing the best personal 24/7 coaching to everyone's fingertips. If you want to tackle one of society's biggest problems with an inspired team, we'd love to hear from you. Apply below, or send us a note.